Parmotrema perforatum, the "perforated ruffle lichen", on a fallen hardwood branch, central Florida. 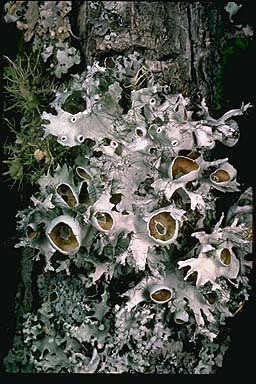 This lichen is imported into Afghanistan for medicinal use. In India, it is thought to have a wide variety of healing properties.